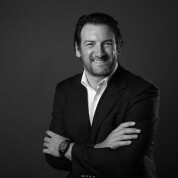 Sandro Salsano is an Italian self-made entrepreneur, businessman, investor and philanthropist. His mother was a teacher. He was a basketball player until he decided to go to college. He started working from a very young age and he was lucky to receive several scholarships. He graduated from Bocconi University Milan with full honors with an MBA Exchange program from the University of San Diego California, he also studied at Harvard Business School and at INCAE Business School. He wrote his thesis in Santiago de Chile. His is a serial entrepreneur, in his early career he started or was a partner of several companies including an investment bank in former Soviet Union which sold a stake to Goldman Sachs, a factoring company in Latam, a Uk Fca regulated hedge fund, a real estate company. He is President and Chairman of Salsano Group, Chairman of Salsano Family Office and Chairman of the Board of Trustees of Salsano Shahani Foundation. Salsano Group is a venture capital conglomerate investing in private equity, real estate and technology. Sandro has been honoured by the World Economic Forum as a Young Global Leader (YGL) in 2014. He is often featured on several medias like CNBC, Financial Times, Bloomberg, Forbes, CNN. He is a member and a donor among others of the Clinton Foundation, Elton John Aids Foundation, Leonardo Di Caprio Foundation, Amfar, Olga Sinclair Foundation, Aspen Institute. He set up Salsano Shahani Foundation with his wife Johanna Shahani to improve kids education in Panama. Sandro is the Chairman for Panama of Global Dignity, a non-profit organization founded by YGL H.H. Haakon, Crown Prince of Norway. He has travelled to more than 100 countries (among those North Korea, Greenland, Tibet, Cuba, Iran, Ukraine, Tanzania). "My mum was a teacher, I am so blessed that she and my father have been teaching me the importance of education since I was a kid. Where I grew up if you would get good grades you would be seen as a loser and bullied. School and sport kept me out of trouble."